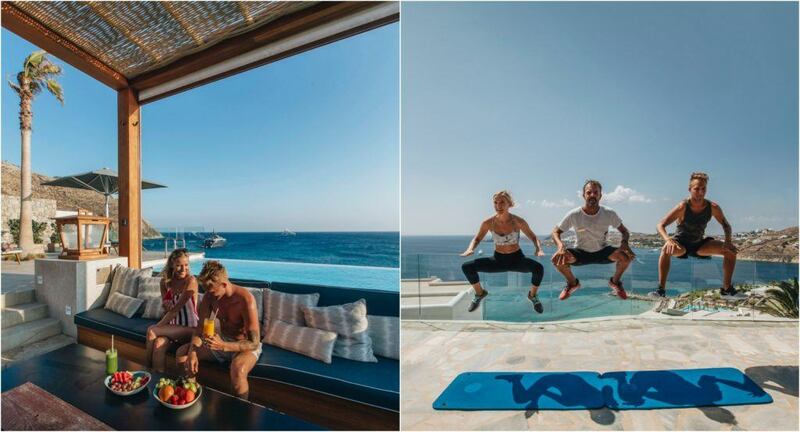 There is nothing that sounds more enchanting than a fitness and wellness journey through Greece! It was our first time visiting this beautiful country, and the trip exceeded all of our expectations. 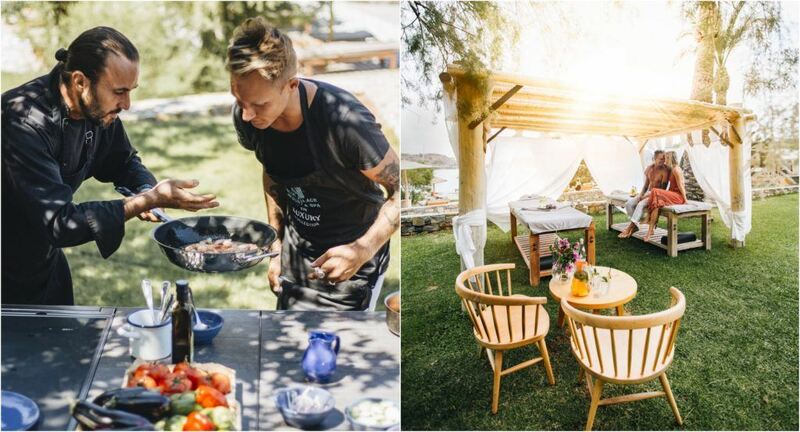 Our rigorous travel schedule makes it challenging to maintain a healthy lifestyle while on the road, but our trip with Journey Greece proved just how possible it can be to enjoy a holiday with a healthy approach. 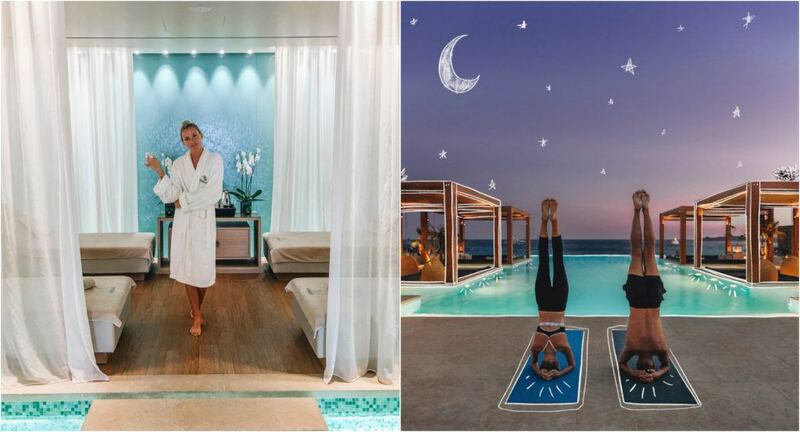 We traveled to Mykonos, Crete, Costa Navarino, and Santorini to experience the wellness offerings of each destination, and cannot wait to share them with you! 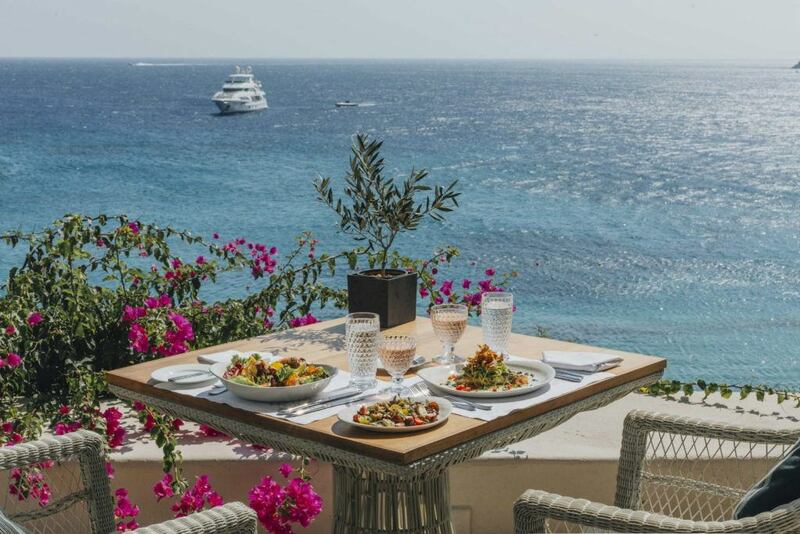 Mykonos is one of the most famous islands in Greece, and for good reason— it is a postcard-perfect Greek island full of white and blue churches, windmills, seaside restaurants, and incredible nightlife. 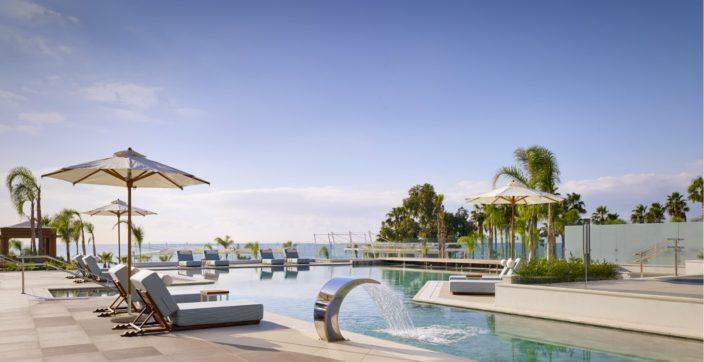 Santa Marina, A Luxury Collection Resort & Villas is just a short drive from the heart of the action, but it’s a tranquil oasis of luxury and style. 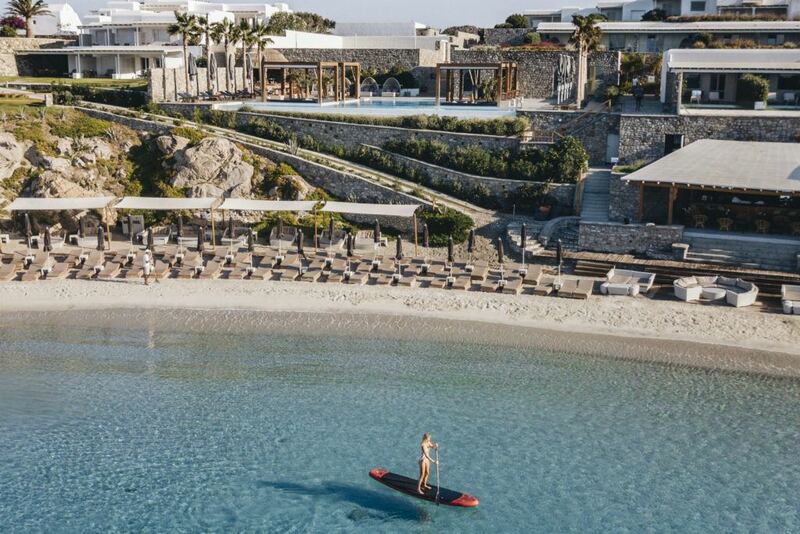 Santa Marina boasts the only private sandy beach in Mykonos, which means SUP, kayaking, swimming and sun-bathing are right at your disposal without leaving the property. Personal training sessions on our villa balcony, sunset yoga, fresh juices and delicious salads by Oasis pool, sushi at world-acclaimed Budda Beach Bar and the luxurious treatments at newly-renovated Ginkgo Spa are just a few of the ways we took advantage of the health and wellness offerings at Santa Marina! 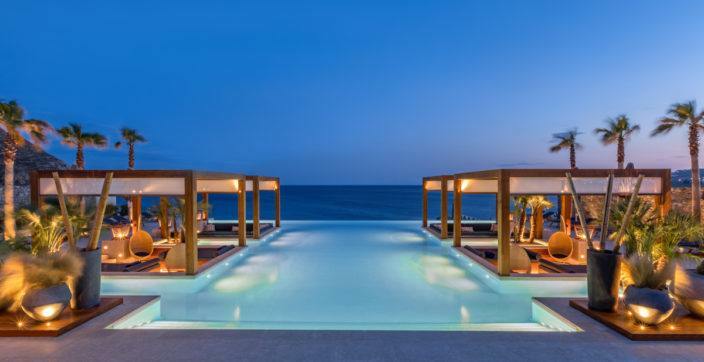 Crete’s Blue Palace Resort, A Luxury Collection Resort & Spa is a gorgeous hideaway tucked into the rugged Cretan shoreline opposite Spinalonga Island. 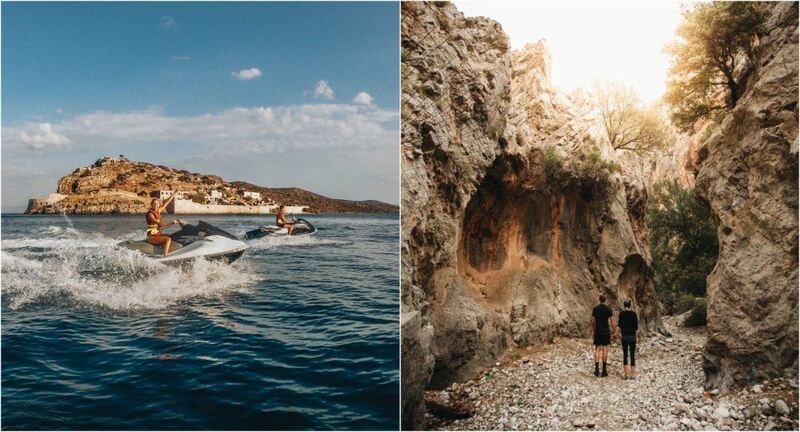 The natural beauty of Crete is a highlight of this luxurious destination- we spent our days hiking at Kritsa Gorge in Lasithi, scuba diving the azure blue waters off the coast, and jet skiing around the protected bay. 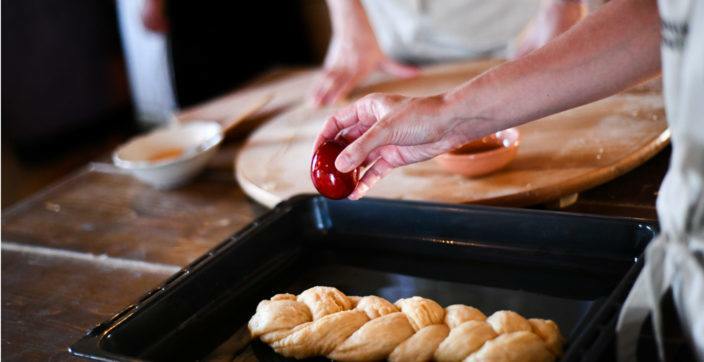 During our cooking lesson at Blue Palace with Chef Giannis Kallivretakis we cooked traditional Cretan recipes, and every dish was more delicious than the last. 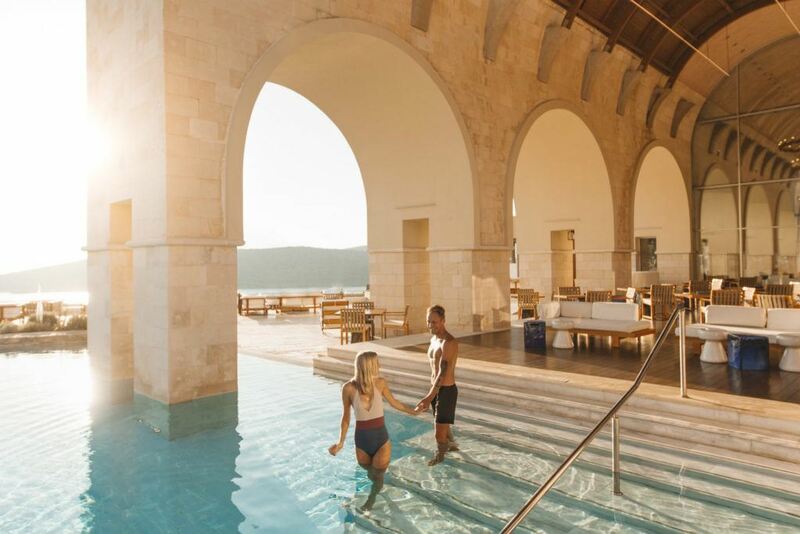 The Elounda Spa experience at Blue Palace is next level- thalassotherapy, a sprawling spa building full of amenities and amazing treatments meant we left Crete feeling refreshed, recharged, and ready to tackle our next destination! Continue the Fitness and Wellness Journey in Greece. 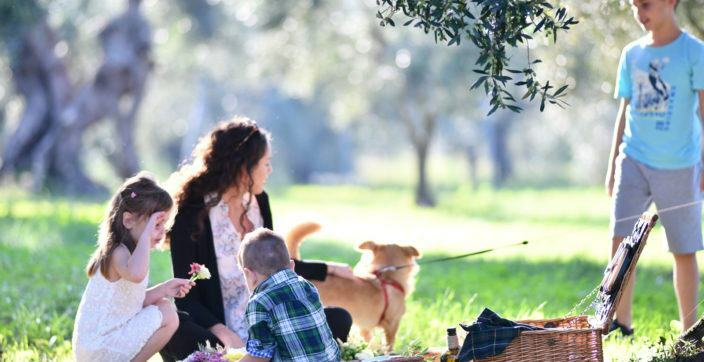 Discover Costa Navarino and Santorini in Part II.